Looking for deals in Seville? Located 2297 feet from Plaza de Armas, Eurostars Torre Sevilla is located in the last 13 floors of this skyscraper, the highest building in Andalucia. A poor breakfast for a 5 star hotel. Small selection. Featuring free WiFi, Las Casas de El Arenal is located in Sevilla, 951 feet from the Cathedral. This hotel offers a classic décor and an on-site bar. Location, Location, Location with extremely friendly and supportive service and clean rooms. Casona De San Andres is set in a 19th-century Sevillan town house, which features original stained-glass windows and courtyards. Located in Seville’s old town, it features 24-hour reception. I absolutely love staying at this hotel. Set in Seville’s old Jewish quarter, Boutique Hotel Doña Manuela is located in the Santa Cruz neighborhood, next to the Murillo Gardens. Excellent location , clean and pleasant staff. H10 Corregidor Boutique Hotel is set in central Seville, 15 minutes’ walk from the cathedral. Built around a characteristic Andalusian patio with a fountain, it features free WiFi and free gym access.... Lovely hotel with superb staff. 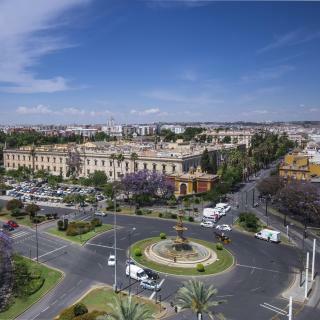 Located in Seville, within 295 feet of Archivo de Indias and 2625 feet of Triana Bridge - Isabel II Bridge, La Alcoba de Palacio features free WiFi. Great location by the Palace, close walking distance to eat and shop. Conveniently located in the middle of Seville, Halo Boutique Hotel is within 984 feet of Archivo de Indias and a 12-minute walk of Plaza de España. Everything. The location was great and the staff was excellent. I did not want to leave. Set in Seville’s historic center, next to Santa Marta Church, Hotel Ateneo Sevilla offers elegant décor and free WiFi. The hotel features an on-site English pub and traditional central courtyard. The Hotel is absolutely beautiful. Hotel Rey Alfonso X is located in the historic center of Sevilla, a short walk from the Giralda and the Santa Cruz district. An outdoor swimming pool is open from June to September. Location Is excellent. Morning staff was so helpful, and welcoming guests. Zenit Sevilla offers accommodations next to the River Guadalquivir, in Seville’s famous Triana neighborhood. 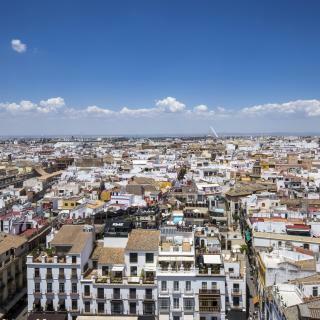 It offers a rooftop terrace and views of the Giralda and the city. Staff are great, the rooms are amazing! Great to have the pool in the middle of summer. Located just 492 feet from Seville Cathedral, in the Santa Cruz District, this hotel’s roof terrace offers views of the Giralda Bell Tower. All air-conditioned rooms have satellite TV and free WiFi. Beautiful property with a lot of quirky charm! Set in an 18th-century building in central Seville, this boutique hotel is just 820 feet from the Cathedral and Giralda. It offers free WiFi and a roof terrace. Perfect location in walking distance to everything yet comfortable, quiet and serene for sleeping. Located in Seville, Santiago 15 Hotel Casa Palacio offers 3-star accommodations with a terrace. The staff were helpful and responsive. Hotel Gravina 51 is a restored 18th-century manor house, featuring 2 characteristic Seville patios. It is set 820 feet from Seville’s Plaza de Armas and a 5-minute walk from the Maestranza Bullring. Amazing hotel!! I stayed here with my sister, and we both had a great time.. This charming, restored 17th-century house is in Seville’s historic quarter within the Alfalfa District, just a 5-minute walk from the cathedral. Perfect location, beautiful room and hotel! The staff are exceptional!! We can’t wait to return. Hotel alminar is a small hotel of only eleven rooms (fully equipped and truly charming) which is placed in a quiet pedestrian street in the very center of Seville, just 165 ft from the cathedral and... We had a very nice room with a patio. Situated in a delightful area of Seville, in the picturesque and authentic Barrio de Santa Cruz, the hotel is an attractive, converted manor house dating back to the 16th century. One of the nicest, most charming and comfortable small hotels I've ever stayed in. Overlooking Plaza Nueva Square, the elegant Hotel Inglaterra is just 820 feet from Seville Cathedral. Comfortable hotel with good facilities. Which hotels in Seville offer an especially good breakfast? 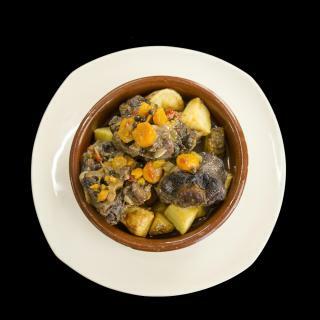 For hotels in Seville that serve highly-rated breakfasts, try Hotel Mercer Sevilla, Hotel Gravina 51, and Hotel Bécquer. How much does it cost to stay in a hotel in Seville? On average, 3-star hotels in Seville cost $97 per night, and 4-star hotels in Seville are $115 per night. If you're looking for something really special, a 5-star hotel in Seville can be found for $232 per night, on average (based on Booking.com prices). Which hotels in Seville have nice views? Eurostars Torre Sevilla, Hotel Lobby Room Sevilla, and Hotel Alfonso XIII - A Luxury Collection Hotel got great room view-related reviews from travelers in Seville. How much is a hotel in Seville for tonight? On average, it costs $150 per night to book a 3-star hotel in Seville for tonight. You'll pay around $145 if you choose to stay in a 4-star hotel tonight, while a 5-star hotel in Seville will cost around $226, on average (based on Booking.com prices). How much is a hotel in Seville for this weekend? The average price per night for a 3-star hotel in Seville this weekend is $291 or, for a 4-star hotel, $347. Looking for something even fancier? 5-star hotels in Seville for this weekend cost around $591 per night, on average (based on Booking.com prices). Which hotels in Seville are good for couples? These hotels in Seville are highly rated by couples: Hotel Gravina 51, Hotel Casa Del Poeta, and Welldone Antiquarium. Which hotels in Seville are good for families? Many families visiting Seville loved staying at Hotel Boutique Corral del Rey, Rey Don Pedro Luxury Home, and Welldone Antiquarium. 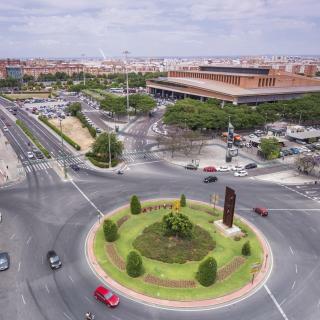 What are the best hotels in Seville near Seville Airport? Travelers who stayed in Seville near Seville Airport (SVQ) have said good things about Hotel San Pablo Sevilla, M.A. Hotel Sevilla Congresos, and Vértice Sevilla. Which hotels are the best ones to stay at in Seville? Las Casas de El Arenal, Gran Meliá Colon, and Hotel Bécquer are some of the popular hotels in Seville. 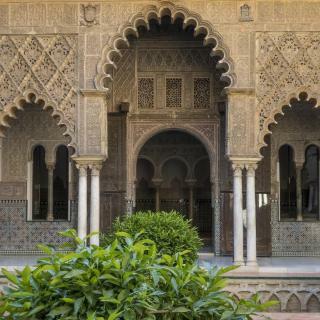 Which neighborhood is the best one to stay at in Seville? Old Town, Macarena, and Nervión are popular with other travelers visiting Seville. What are the best hotels in Seville near Plaza de Armas? Some of the best hotels in Seville near Plaza de Armas include Hotel Gravina 51, Hotel Lobby Room Sevilla and COME TO SEVILLA Suites del Arenal. Seville is a city that lends itself perfectly to just wandering around and soaking up the atmosphere. And there is plenty of atmosphere to soaked up. People watching is very much a pastime here, and all over Seville restaurants teem with well-heeled locals enjoying a laid-back coffee or cerveza under the shade of a citrus tree. The city also has its fair share of must-see sights. At the top of the list is Plaza de España whose monumental, semi-circular building is elaborately decorated with Andalusian tiles. Also typically Andalusian is the Seville Bull Ring, though what goes on inside may not be to everyone’s taste. The resting place of Christopher Columbus, UNESCO World Heritage-listed Seville Cathedral is an awe-inspiring structure whose vast vaults provide welcome relief from the heat of the day. But it’s after dark that things really start to heat up. Streets pulse to the rhythm of flamenco, and with more bars per inhabitant than anywhere else in Europe, there’s no shortage of choice for nightlife. Just on the outskirts of the city is Seville Airport. 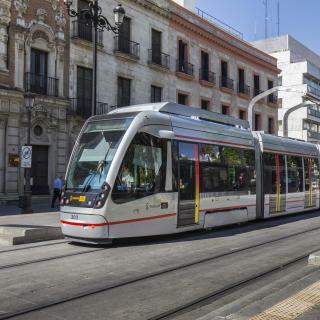 Public transport from here provides easy access to the array of Seville hotels, guest houses and apartments that Booking.com has to offer. Fall in love with Sevilla (Sevilla), Spain! Sevilla is one of the most beautiful cities in the world, especially in the heart of the old town (Santa Cruz neighborhood). If you only a have a few days in Sevilla, here are several things I'd recommend making an effort to see (multiple things can be done in one day): 1. The Sevilla Cathedral/La Giralda 2. The Real Alcazar 3. The streets of the Santa Cruz district - it's a beautiful place to let yourself get lost 4. Plaza de la Encarnacion/Metropol Parasol ("La Seta") 5. Triana district - Santa Ana is known for its ceramics (beautiful and affordable) 6. Parque Maria Luisa, Plaza de Espana, Plaza de America (free activities!) 7. Maestranza building (bull ring) and the Torre de Oro (Golden Tower) 8. Plaza de Alfalfa (great restaurants) 9. Plaza del Salvador (great restaurants, beautiful church) 10. Alfonso XIII hotel (grab a drink outside at the restaurant and/or wander the first floor halls of this beautiful hotel) Getting around old town is easy - mostly walking, but there's a great metro that runs along the main road in front of the Cathedral. There are also buses that will take you from the airport or the train station into old town very easily. 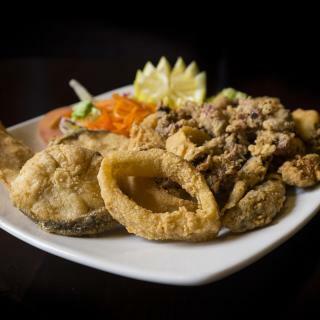 If you're into food, you really can't go wrong, but the chocos (fried cuttlefish/squid) and salmorejo are local favorites. We stayed in a BB ( Casa Alfareria 59) in Triana. We loved the apartment it was extremely luxurious and comfortable, catered for all our needs and was situated in the best spot in Seville Old Town. Would definitely stay there again. Breakfast at the main hotel was a lovely start to the day where the staff couldn't be nicer, as was the welcome pack and the daily free mini-bar. Seville was a real treat, traditional with an abundance of small tapas bars, music and flamenco - one of the nicest places we have been. Highly recommend the free walking tours - very friendly & informative. I had a kettle, tea and coffee in the room, which was rare in Spain. There were complimentary water and canned drinks in a refridgerator, but I could not make a use of them on arrival because I had no idea what they were (too bad! Put more instruction notes in rooms!). The reception guy was nice and spoke good English. The shower was hot, strong and steady. The location was 5 minute walk from Plaza de Armas, 10 min. to the Cathedral and the Parasol. Shopping and eating was easy nearby. Fabulous location to all old town attractions, palace, cathedrals and a minute or so to stumble upon the first of so many wonderful tapas bars in the beautiful Seville passageways. 15 mins walk from Santa Justa train station and 15 mins drive to airport. Staff were so friendly and informative. Even a real coffee machine in the room. Booked a superior double with private terrace and we weren’t disappointed! Highly recommend this lovely hotel . We didn’t expect much but we happy that we choose this one. Best things: location - is just 10 minutes walk to old town but at same time just 2 minutes to the bus station (very comfortable who plans to go to airport); calm - no street noise and normal walls (we know that sometimes in Spain old buildings its impossible to get this); tiny but cosy and clean rooms. We really enjoyed the stay and its really good deal and worth for the price. We really enjoyed our stay, we had an amazing room call Harry Potter, beautiful original deco even with a library in the room. It's a simply a Woww factor room. 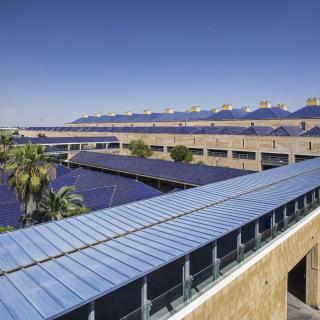 The staff is very helpful and friendly, the hotel comes with the parking facility which is a huge plus in old town of Seville. We would highly recommend to anyone want something original and stunning. It's a special and romantic hotel. Very happy. Perfect location for sightseeing. The hotel has been remodeled from an old townhouse and has a beautiful patio and inside fountains and everything that is typical for Seville. The staff was very friendly and accommodating. Rooms were cleaned daily, so that even the older flair of the premises is maintained appropriately. The hotel is perfectly located in the old town - restaurants and shops close by. Also well located to walk to the meeting points for the fabulous free walking tours of Seville. Clean rooms and really helpful staff. There’s an elevator too which was brilliant. The hotel is located at the heart of the old town of Seville at a great location. The reception staff was extremely helpful and polite. The room was spacious and the bed very comfortable. The decoration was very very nice around the hotel. Location cannot be more perfect: around the corner from Alcazar entrance in absulutely quiet small street. Rooms are new and comfortably designed. AC is noiseless. Breakfast is delicious. Staff speaks English, which is rare in Spain. Perfect location, wonderful amenities. My favorite place I stayed in Spain. I recommend it to everyone! Spacious with full kitchen. Very helpful people managed it and let is keep our luggage in the office. 5 stars. This hotel was perfect - wonderful location and the property/rooms are beautiful. It was by far the best hotel I booked in Spain. Would 100% recommend it/stay there again. All the people living there are nice and friendly. The hostel provides free breakfast and all kinds of activities. The best experience in Spain ever! Gorgeous hotel in a great bit of old town Seville. Massive bed, clean, rooftop pool with bar, just gorgeous. Staff really friendly and helpful. Favorite place I stayed in Spain. Host was gracious and friendly, apartment was clean, perfect location, exceptionally clean, nice and quiet. Everything from staff to location is great will come and stay again if I come to Spain.